Our Kind Of Magic Star Of Havanna BOB CAC - "NANCY"
Nancy is 8 months in the photo. She is such a happy and energetic young female. She has enjoyed the puppy shows and loves performing.She has excellent temperament, correct proportions, very good movements and marvellous coat quality. 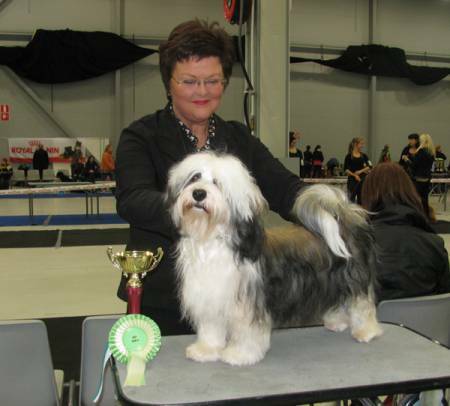 She has attended four puppy shows with great results: 2 x BOB with HP and 2 x BOS with HP.